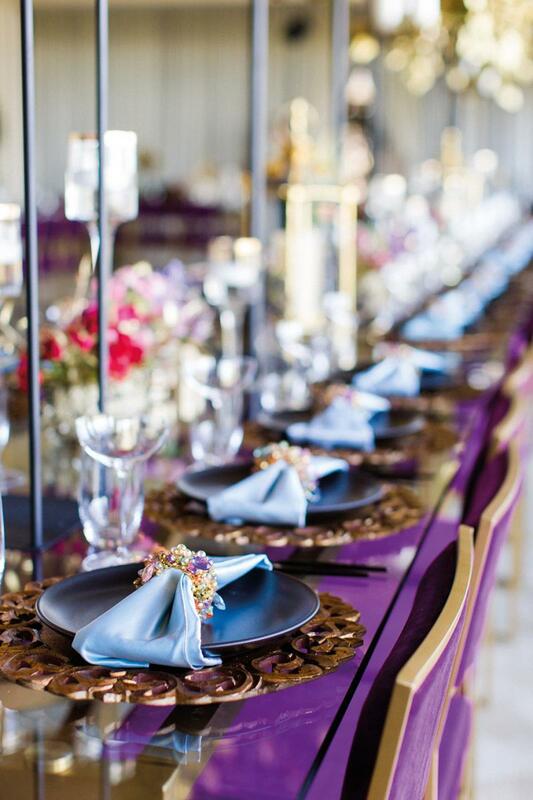 Nicole Gillis of Nicole Alexandra Designs in Los Angeles found her inspiration for this reception table look from California’s annual music mecca, Coachella. 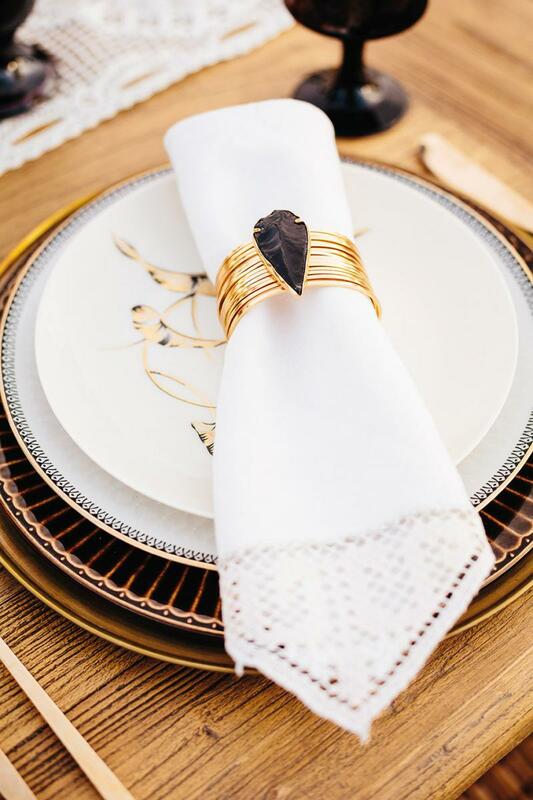 Gillis worked in edgy, stylish touches, like this bracelet that serves as a napkin ring around a lace-edged napkin. Resting atop vintage, gold-rimmed plates, the accessory makes a chic statement. 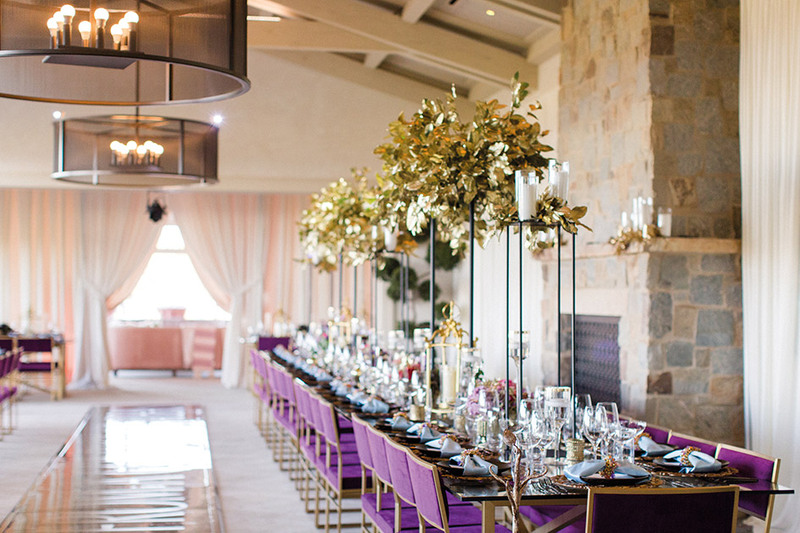 And for an opulent dinner at the newly opened Rolling Hills Country Club, Gillis found her muse in venerable fashion designer Versace, creating a lush and vibrant design featuring feasting tables, gold-leafed floral arrangements by Rebelle Fleurs, bold violet velvet chairs and ornate chargers from Theoni Collection. 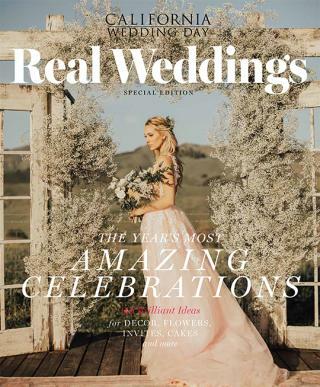 Annette Kirkhuff of Wheat and Honey Events in Simi Valley transported guests to southern Italy with a vibrant design punctuated by the spicy red hue of dried Italian hot peppers. These freethinkers are rewriting the rules for the modern couple with geometric creations that range from bohemian to contemporary. This styled shoot at The Modern has us feeling all of the summer vibes!